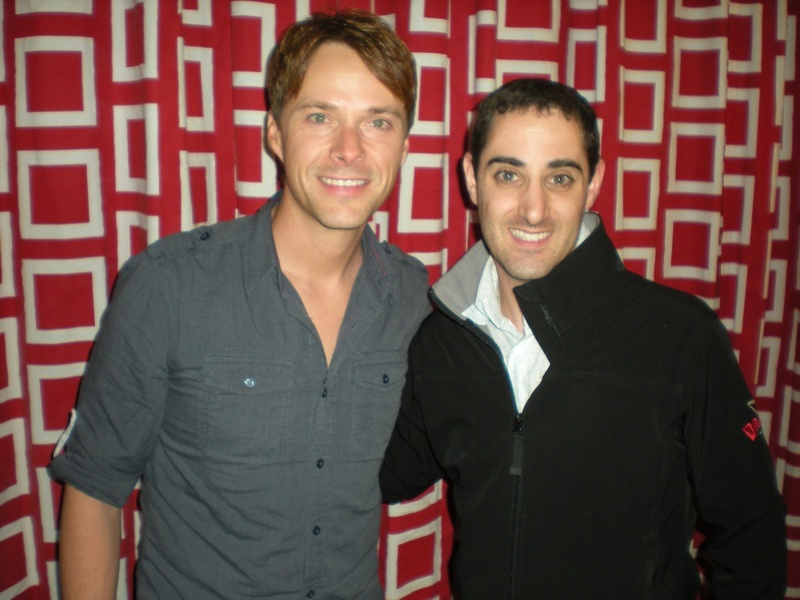 On Monday, April 5, 2010, I had the distinct privilege of interviewing Award winning country music artist Bryan White after seeing him perform with Victoria Shaw and Gary Burr at New York City’s legendary jazz club Birdland as part of Jim Caruso’s Broadway at Birdland series. Right before I interviewed him, Bryan took the time to meet with fans, take pictures, and sign cds. Gracious, personable, and down to earth, Bryan White is proud of his success, but hasn’t forgotten where he came from. Since the age of 14, he has been entertaining audiences. He’s won a Grammy award, CMA Horizon Award, ACM Top Male Vocalist Award, had six #1 singles, two platinum records, two gold records and joined forces with Shania Twain for “From This Moment on” which they took to #4 on Billboard’s Hot 100 Chart. 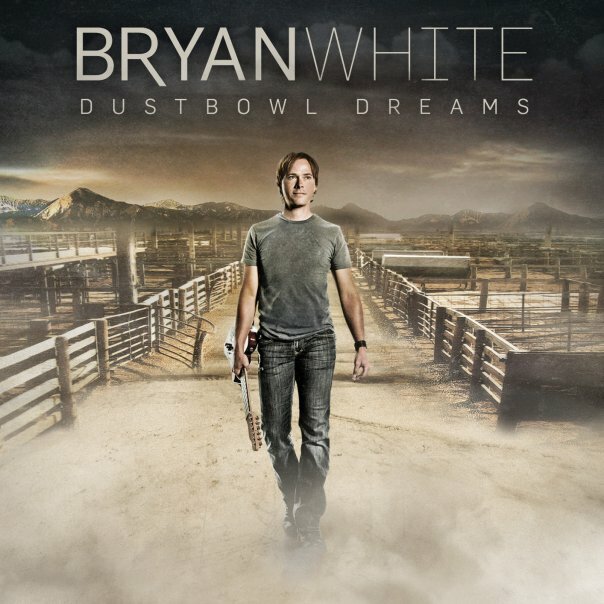 Bryan just released his eighth studio album entitled “Dustbowl Dreams” and is currently touring the country. For tour dates and much more on Bryan, be sure to visit: http://www.bryanwhite.com. 1. Who inspired you to become a performer? First, I’d have to say my parents because they were musicians and they were the first people I saw performing music. The guy that made me want to be a recording artist and make records and do all of this was a guy named Steve Wariner. Steve is just a tremendous artist, singer, and songwriter. I heard his voice and I said to myself that’s exactly what I want to do. If it weren’t for Steve’s music and talent, I wouldn’t be here. 2. Who is the one person you haven’t worked with that you would like to? I’ve been so fortunate to work with so many people already over my career, but I’d love to work with Bonnie Raitt sometime. I think she’s an tremendous talent. I’d love to sit in the same room with Dolly and write a song with her. I’d also love to work with Michael McDonald, Carrie Underwood or James Taylor. 3. What’s your proudest moment? When I saw my children being born, that was my proudest moment. That’s when I realized life is so much bigger than me and us. Being a dad is about as good as it gets. 4. What’s the best advice you’ve given someone, but not taken for yourself? That’s a great question, ’cause it makes me think. I tell a lot of singers that they need to warm up and don’t drink a lot of caffine and try to drink a lot of water. I try to stay adamant with staying hydrated and warm up a 1/2 hour before a show, but I’m not always real diligent about it. 5. If you could dream about anyone while you sleep, who would it be? My granddad. My granddad was my hero. He passed away about 5 years ago and that was very difficult for me. Sometimes he’s in my dream and I wake up and I realize it was just a dream and I think man what a bummer cause it was cool to see him. It was like we were hanging. I would also like to dream that I was in heaven hanging with God. 6. Favorite ride at an amusement park? I love wooden roller coasters because their fun, their fast, and their scary, but they give the impression like their gonna fall apart at anytime because you hear the wood and the clacking and all the noise and it sort of adds to the illusion of the fear. 7. Favorite way to stay in shape? Walking definitely not running. I hate running. I like basketball too because it’s faking you out by thinking you are not working out, but really you are. 8. Boxers or Briefs? Briefs most of the time, but I have two pairs of boxers and on occasion when it’s really hot outside, I’ll wear boxers. 9. Favorite website? I tend to go to Twitter almost every time I go online. I like Twitter from my phone, but I really like it from my laptop better because it’s faster. Sometimes I’ll get into a conversation with a fan and that is really fun for me. I love going to Wikipedia because if I think of some big celebrity that I’ve always wondered about and wanted to know where they are from, I’ll go to Wikipedia to find out. I’m big into where people are from. That’s typically how all my conversations with people start because I’ve been so many places I can usually bring up something about their hometown and engage them in conversation. 10. “Transformers” or “Gobots”? Transformers. I don’t remember buying Gobots. 11. Favorite way to spend your day off? I love to laugh and hang with friends or have a bbq in the backyard with all my favorite people. I also love recreational stuff outside, especially on a boat. I’m an avid fisherman and I don’t get to do it as much because of my schedule, but I’m getting ready to go Wyoming and I’m really excited because there might be an opportunity for me to go fly fishing. There is just something about being outside where I can see a long ways and think and reflect. I’m a song writer so I typically think better and most of my ideas come when I’m out in the wilderness. 12. Out of everyone you’ve worked with, who did you learn the most from? That’s a tough one because I took something from everyone, but I would have to go back to Steve Wariner. He’s been not only a mentor in respect to the artistry but also in respect to the business side of the industry. He’s given me some of the most priceless advice in terms of staying in there and fighting through. I’ve learned a lot from being on the road with Vince Gill and Mark Miller from Sawyer Brown. There are a lot of real people in the industry and you just hope that you are directed to those people. When you find them, you just try to hang on to them because they’re really blessings. 13. Who do you consider to be your hero? My granddad. Like many of our grandparents, he comes from a whole different generation. It’s a generation where people really worked for their living and they didn’t know what sitting around meant or they didn’t know what it meant to surf the web and kind of veg out. Veg out was not a term back then and I respect that about him. He got up every morning and he was a hard worker and he enjoyed his work and he enjoyed his family even more. I know now, looking back, why he worked so hard because every ounce of energy he put into his work was for all for his kids and all for his family and he loved people. So I think everyday when I do things or when I meet people or working, I try to think about how he approached life and I try to apply what I learned from him to my life as well. I want to leave that same kind of legacy one day. Tonight I had the distinct pleasure of seeing and interviewing country superstar Jo Dee Messina (click here for my interview). She is performing from March 16-20 at Feinstein’s at The Regency as part of her Music Room Tour where she goes around the country playing intimate venues where she really connects with fans by taking questions and requests from the audience between songs. She opened the show with “Heads Carolina, Tails California” then went right into “I’m Alright.” Next she asked the audience for questions and I asked her to sing “Who’s Crying Now” (my personal favorite). She then went onto sing her latest single “That’s God” which lead into awesome cover of “I Can’t Make You Love Me” by Bonnie Raitt. She then sang the title cut to her new album “Unmistakable” and went into one of her favorite songs to perform live, a cover of Journey’s “Don’t Stop Believin’.” Jo Dee then took another fan request of “Burn” and “Bye Bye” with ” A Lesson in Leavin'” in between. Another fan requested “Because You Loved Me.” She ended the evening with “Bring On The Rain” and “My Give A Damn’s Busted.” Every show is a different set of songs because you never know what somebody will request (whether it’s her own song or someone else’s). Jo Dee Mesina is so kind and down to earth it makes sense to have a tour like this where she really gets to connect with her fans. Thanks Jo Dee for an unforgettable evening! 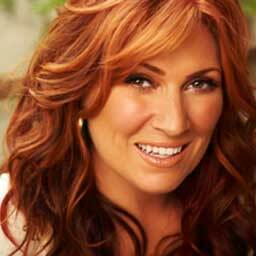 Jo Dee Messina is a CMA and ACM award winner plus a two-time Grammy nominee. She has sold over five million albums, had nine #1 singles, and was the first female country artist to have three multiple-week #1 songs from the same album. Her many hits include: ” Heads Carolina, Tails California,” “You’re Not In Kansas Anymore,” “Bye Bye,” “I’m Alright,” “Bring On The Rain,” “That’s the Way,” “My Give A Damn’s Busted” & her latest “That’s God” from her upcoming album “Unmistakable” due out April 27. 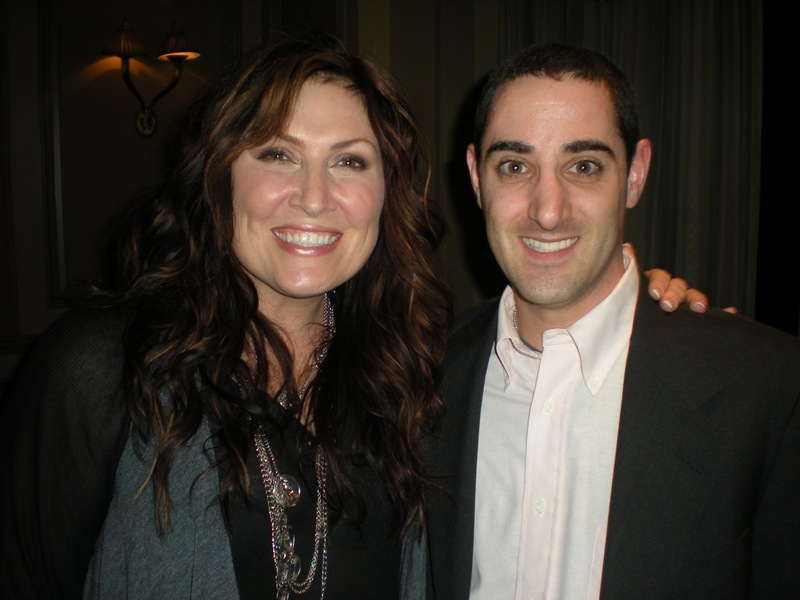 For more on Jo Dee Messina be sure to check out her website: http://www.jodeemessina.com. Tonight I had the distinct pleasure of seeing and interviewing country superstar Jo Dee Messina. 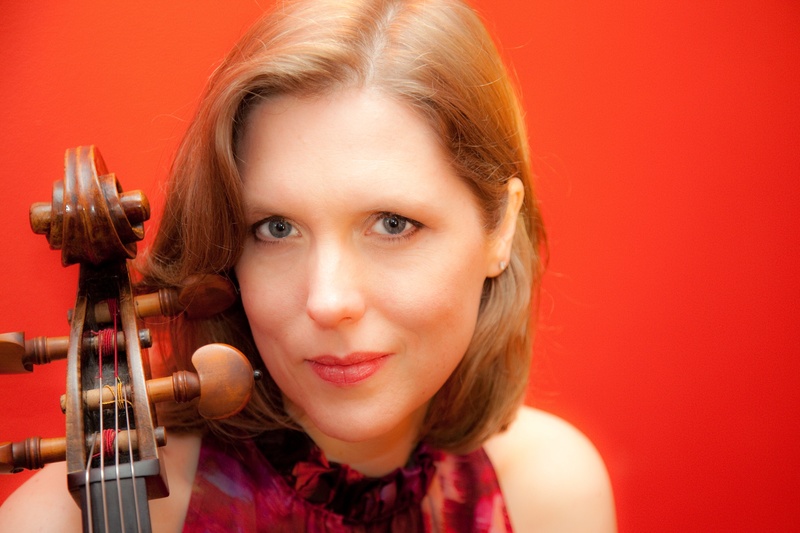 She is performing at Feinstein’s at the Regency from March 16-20 as part of her “Music Room Series Tour” where she goes around the country playing intimate venues where she really connects with fans by taking requests & questions from the audience between songs. I have been a fan of Jo Dee’s for many years and to have this as my first time seeing her live is truly wonderful! (Click here for my review of Jo Dee at Feinstein’s). 1. Who inspired you to become a performer? 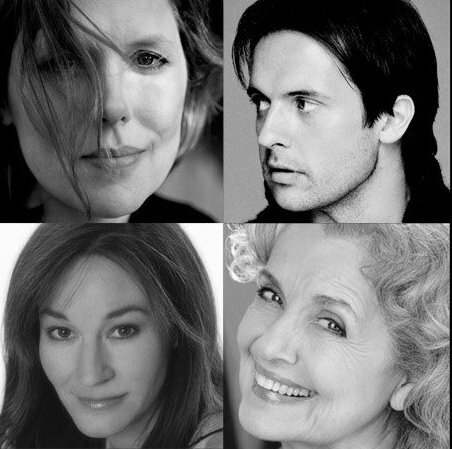 Dolly Parton, The Judds, Bonnie Raitt, and James Taylor. In my full show (we only got to see 70 minutes of what is normally a 2 1/2 hour show) there is a lot of wild craziness that goes on and it’s great to be able to pull off a Dolly Parton or Reba McEntire influence show which is all of the big woo-ha-who and do a James Taylor kind of laid back, let’s just hear about the music. It’s a huge spectrum of influences in my career. I just love music. Even now on my iPod I have everything from James Taylor to Miley Cyrus to Casting Crowns to Maroon 5. It’s all over the place. Okay, I gave you way more than you wanted. 2. Who is the one person you haven’t worked with that you would like to? James Taylor, James Taylor, James Taylor! 4. Is there ever a time you thought about quitting? If so, what career would you choose? Recently. I thought about it recently because I could not get this record out. If I weren’t singing, I would love to do something with TV, like hosting. Any kind of interactive TV show would be hysterical because it’s all about the fans and listeners. I’d also like to write, which as I mentioned in my show, I’ve been working on a book forever and ever. 5. If you could dream about anyone while you sleep, who would it be? My husband. He’s a hottie! 6. What’s your proudest moment? Every time I can get on stage and perform, I’m proud. It’s about having fun and sharing that experience with the person who cared enough to give up their evening and come. 7. Favorite hobby? Singing, writing. 8. Favorite way to spend your day off? Ah, hanging with you! I’m going to go run in Central Park tomorrow and I’m totally stoked about that. 9. Favorite website? Yours of course! Also weather.com because I’m always checking the weather where ever I’m going. 11. Who do you consider to be your hero? The single mom’s out there that are pulling it off because I have the help of my husband and it’s amazing how much that can take. 12. What is the best advice you’ve given, but not taken for yourself? Don’t care what anybody else thinks.